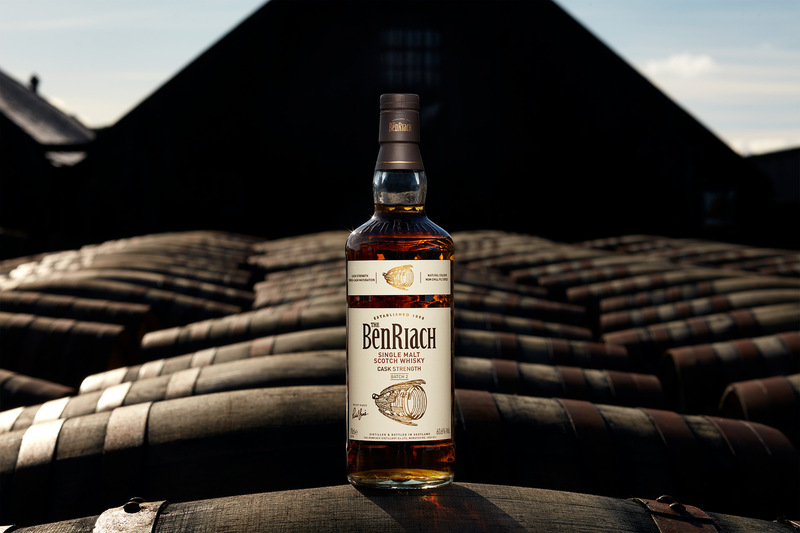 BenRiach means speckled mountain. Stretching the “up and down” mountain metaphor to breaking point, it’s had a bit of a history of highs and lows. Located in Speyside, the BenRiach distillery was formed in 1898 by by John Duff, but was closed shortly after, in 1900. Five decades later it became part of the Glenlivet Distilleries Ltd, and happily churned out whisky for half a century more. 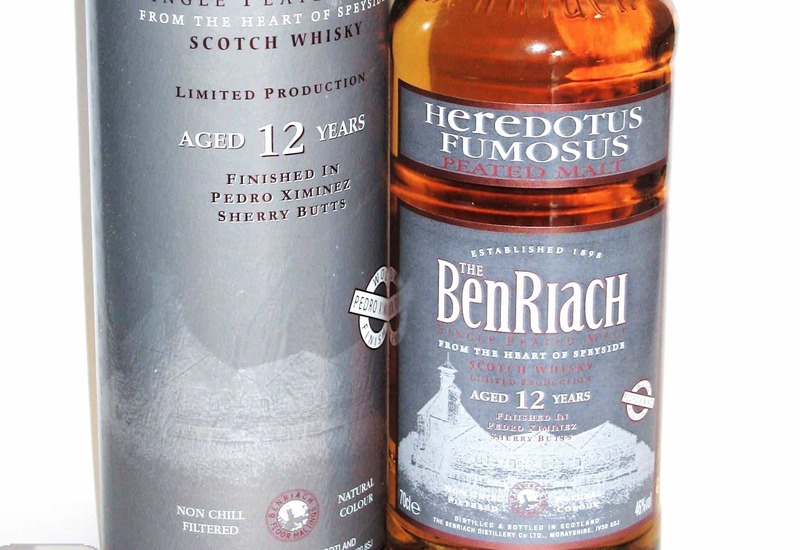 Then in 2001 BenRiach was bought up Chivas, who then… promptly closed it down again. 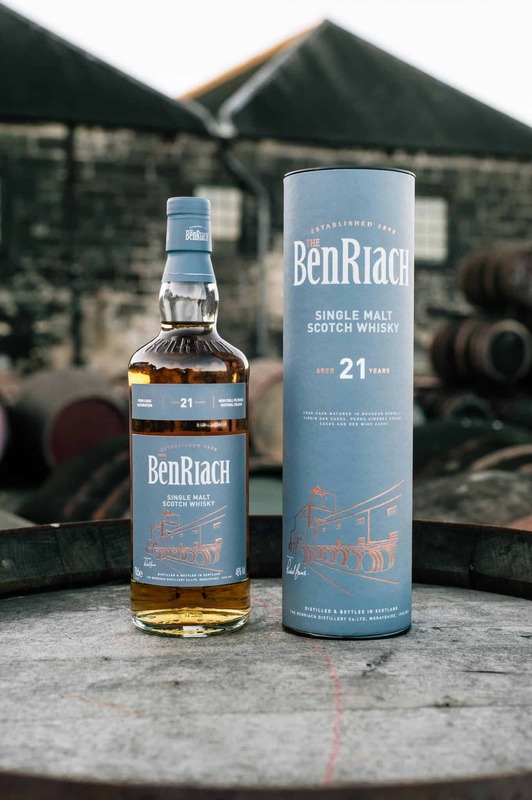 Benriach was back up again in 2004, thanks to a pact between Scotsman Billy Walker and two South African partners, Geoff Bell and Wayne Kieswetter. Since then, as an indie distillery, it has been belting out some really interesting whiskies. Colour: a fairly straight-down-the-line amber. On the nose: lovely layers of sweet peat smoke, burnt toffee, BBQ meat. Reminds me a heck of a lot of the Ardbeg Alligator – they’re rather close. Some distant herbal, grassy notes on top of that. In the mouth: the nose continues on through with some precision. Smoked fish, delicious syrupy, oily stuff. Lots of black pepper. Intense oak and, as you might expect, a belt of sherry – though it’s even stronger than I expected. Lingering, bold malt notes on the finish; very warming, very pleasing. Whereas the nose was every bit a rival for the Ardbeg Alligator, there wasn’t quite as much depth to it, but there was more elegance. And that said, I do in fact prefer this to the Alligator. For around £40 a bottle, this is astonishing value for money again. In fact, if you like anything Ardbeg have put out, I very much think you’ll be impressed by this. But what I’m most surprised about is that BenRiach can knock these out at affordable prices.